Being under the influence of alcohol or drugs affects your mental health and your overall behaviour, and it is also often linked to the likelihood of being aggressive. Feelings of anger and aggression can easily be provoked when there’s a use of alcohol and drugs - especially if you’re capable of, or already engaging, in violent behaviour. Here’s more on how substance abuse and violence are linked. When you’re under the influence of drugs and/or alcohol, the ability to think straight and control yourself is reduced. 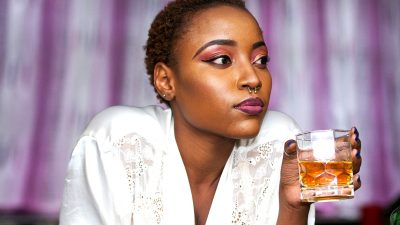 This is because alcohol and certain substances lower your inhibitions (the ability to stay in control), causing you to ignore consequences and act on your emotions. Drugs and alcohol might seem appealing, but the consequences can be damaging, especially because it can result in many people becoming confrontational and aggressive. Some people use substance abuse as an excuse for their violent behaviour by saying things like “I was drunk or high, I didn’t mean to do that”. Even though the use of drugs or alcohol can affect your ability to process information, it doesn’t mean they should be used as an excuse to be violent. You’re also most likely to be a victim of abuse if you’re under the influence of drugs or alcohol because you might not be aware of your surroundings - which can put you at risk of being physically assaulted or injured. For example, being under the influence of alcohol can make it easy for someone to take advantage of you. Struggling with substance abuse isn’t easy, especially when it has a strong link to violence. It’s always important to remember that if you or a loved one need help, it is always available - you just have to be brave enough to ask for it. That way, you can overcome this - for the sake of yourself and those around you. Don’t forget, if you need advice or help, you can contact me here on Ask Choma, send me a Facebook Message, a Twitter DM, or a WhatsApp Message (071 172 3657).